Hayley Kiyoko Alcroft (born April 3, 1991 in Los Angeles, CA, USA) is a multi-talented singer, songwriter, director, and actress. In 2013, she issued her first solo EP, A Belle to Remember, which included the single "Rich Youth". 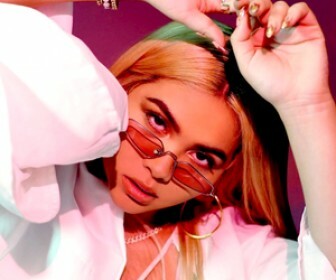 However, it was her This Side of Paradise EP (released in early 2015) that proved to be Kiyoko's breakthrough, with the evocative single "Girls Like Girls" and its accompanying music video that garnered over 100 million YouTube views. At the end of 2016, Hayley celebrated the release of her major-label debut EP CITRINE, which included pop confections "Pretty Girl" and "Palace", by launching her nationwide "One Bad Night Tour". The completely sold-out headline tour saw Hayley performing her new music for her passionate and devoted fans in cities throughout the US. According to Baeble, Hayley "managed to turn a sold out Studio at Webster Hall into an intimate dance party for everyone to feel free in a safe zone." 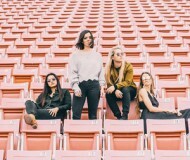 Following singles including "Sleepover", "Feelings", and "Curious" have been released to accompany her debut studio album Expectations, which was released on March 30, 2018. The album reached the top 20 of the charts in United States, Canada and Australia. She has also created a comic book, with the help of Naomi Franquiz and Marla Vazquez, based on her song "Gravel to Tempo". Kiyoko was a founding member of The Stunners in 2007. The group supported Justin Bieber's My World Tour, before disbanding in 2011. Kiyoko was born to figure skater/choreographer Sarah Kawahara and actor/comedian Jamie Alcroft. Her mother is from Canada and is of Japanese ancestry and her father is from Ohio and has English, Welsh, Irish and German ancestry. Read more on Last.fm. User-contributed text is available under the Creative Commons By-SA License; additional terms may apply.